“Daddy, that’s exit! Wrong way yan!” protests Marcus upon seeing the big EXIT sign as I make a turn to the Greenfield toll gate during a recent trip to Nuvali. Wow, the kid has a point. Among the confusing road signs that we have (which we have a lot by the way) here in our country is the EXIT. Why? Can you recall seeing a toll gate sign that says ENTRANCE? Well, I may not have been paying attention but I can’t remember seeing one. And I am not alone because I know a lot of drivers would agree. For example, “to go to SLEX (South Luzon Expressway), use the Carmona EXIT,” “If you’re coming from Batangas, you can go to Festival Mall via the Alabang EXIT” are just two examples of common direction instructions that mention EXIT whether that’s coming from or going to the expressway way. Either way, we just neither have an Alabang ENRANCE nor an SLEX ENTRANCE. 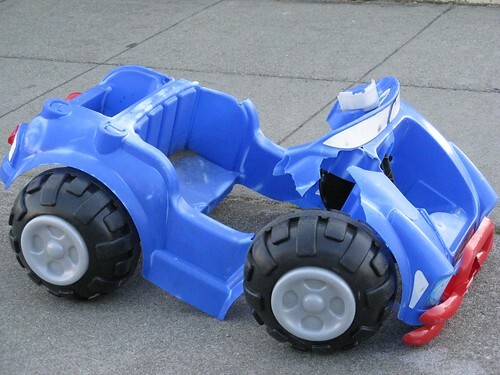 So can we blame kids as young as Marcus to have the impression that their dads who have been their role models of a good driver—all the others are irresponsible, aren’t they?—are now obviously violating a traffic rule? The immediate answer of course would be to explain it to them. But would it be plain and simple? I doubt it. It would take some more road trips, and similar you-are-wrong objections, before we can finally make them accept that what they have seen on the ‘opposites’ segment of their educational videos do not apply all the time. Yes, the opposite of ENTRANCE is EXIT but for some reason people who designed the toll gates didn’t consider that there will be parents with mini backseat drivers, who will start to learn how to read, and who will sooner or later question why in the world is his father entering a way with a big and clear exit sign. Good luck to us. To all dads who will be on the road, happy father’s day! And I hope you don’t miss the exit…or entrance…to your destination. Darkness is the absence of light…and blindness is the presence of a oncoming vehicle on high beam. The long wait for the part has come to an end. More than a month after my low beam conked out because of a faulty headlight switch, I got the call from my Honda service advisor informing me about the replacement part’s availability. And with this, the people whom I usually meet while on their way back home from a tiring work day will now be so grateful not to have another blinding encounter. To the tired engineers driving their cars, factory workers riding their underbones, Tagaytay-bound party goers, jeepney drivers, tricycle backseat passengers, village security guards, toll booth workers, and others — pedestrians, street dogs, and stray cats included — whom I have blinded, my sincerest apology. I had no choice but to drive on full high beam. Contact a Honda engineer for more explanation why its part no. 35255-S5A-A12 failed before its fifth year. If it’s any consolation, I saw the light — my low beam light — again on 12/12/12. Drive home this morning was eventful. Firstly, I arrived at the toll area with a truck that has just slammed into the opposite toll gate’s concrete barriers and its driver, who appears drunk or sleepy, still arguing with the authorities as if they’re the ones at fault. Then unknowingly I lined up behind someone who, according to the security guard, picked the wrong exit to enter (have you ever realized that either way, a toll gate is always called an EXIT?) and refuses to move out thus requiring me reverse back to transfer to another gate (I have this habit of not tailgating so I was out real quick) . And as if to share the misfortunes of the others, my headlights conked out while I was waiting my turn to cross an intersection — thankfully, dawn is already breaking that time. Ti abi. Not call center TGIF day. I searched the web and found a good DIY link that could help me save P4,000 in headlight switch replacement — parts and labor. I’ll find out later.